Your hair has a way of telling you if your body is in balance. If you are healthy - physically as well as emotionally - your hair will be radiant and shining and your scalp pliant and moist. If you are not well physically, or if you are upset emotionally, your hair becomes dull and lifeless - it will begin to fall out, and your hair will become waxy with the overproduction of your traumatised sebaceous glands. If your hair is thinning or you are experiencing baldness and it seems abnormal either because you are young or female, it is more than likely that stress is the culprit of hair loss. Your hair is one of the first places your body shows distress. Illness, medication and imbalances in nutrition all show up in you hair and scalp. Usually, it is not mild job or life stress that triggers hair loss, more likely it is extremely serious stress to the body that causes hair to stop growing and fall out. These types of stress can be initiated by some types of medications, diabetes, thyroid disorders and even extreme emotional stress, but also can be caused by commonplace life events like childbirth, miscarriage and surgery. Any major change in our lives can be reflected in the condition of our hair, scalp and skin. We reflect our health and well-being in the condition of our hair and scalp. But how does stress actually effect hair loss? Well hair grows in repeating cycles. The active growth phase lasts around two years and is followed by a resting phase that spans three months, after which the hair falls from the scalp. Normally, every strand of hair in your head is at a different point in this cycle, so the shedding is barely noticeable: a few strands in the shower drain, some more on your brush, a hair or two on your pillow. A normal head sheds at most 100 strands of hair a day. However, when the body undergoes extreme stress, as much as 70 percent of your hair can prematurely enter the resting phase. Three months later, these hairs begin to fall out, causing noticeable hair loss. The person will not become completely bald and the thinning will be fairly unnoticeable. However, it is this three month delay and the fact that the trigger seems so unrelated that causes confusion on the part of the patient concerned about hair loss. Fortunately, in most cases hair will begin to grow back within six months. However, some people may face further periods of severe stress that may trigger the whole process to begin again and cause more hair loss resulting in a more long-term problem. Many people feel that genetics is what causes hair loss, which is only partially true. People from the same blood line will of course have many similar physical characteristics. However, this is not the only cause. 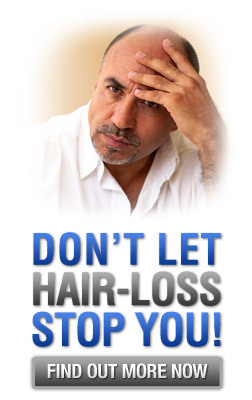 If DHT were not part of every human in the world today, hair loss would not be nearly such a big problem as it is now. DHT is a hormone. DHT is directly related to and affected by the level of testosterone in the bloodstream. Because there have been plenty research into hair loss, we are now aware what causes DHT, how this effects hair loss and how the effects can be reduced. DHT in men is mostly a result of a decrease or depletion of testosterone in the male body. As for women, it is caused by a depletion of oestrogen, causing the woman to have more testosterone in her body than she should. The effect of DHT varies in men and women. 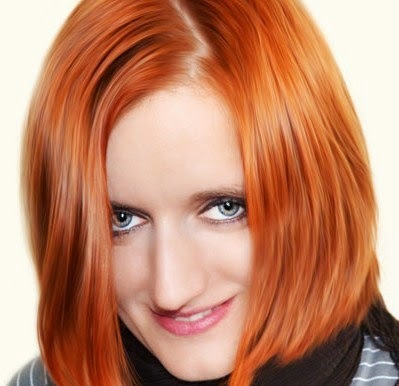 DHT hair loss in men occurs in patches while in women it happens through thinning of the hair. This is more common in male than in females because men have more testosterone. It is a main cause of balding among men. Anyone that suffers from hair loss may find that by stopping the production of DHT will cause their hair loss problem to diminish. Whilst there is no quick miracle product that will immediately stop the production of DHT there are a number of products that will help to reduce the amount of DHT that is produced. The Mangosteen is a wonderful, juicy and divine fruit to eat - the kind of 'nectarous' food that would be relished by ancient Greek God Foodies at decadent banquets on Olympus! 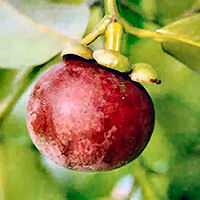 There is simply no equivalent rival when it comes to taste, texture and its rich appearance when you break open the fruit. 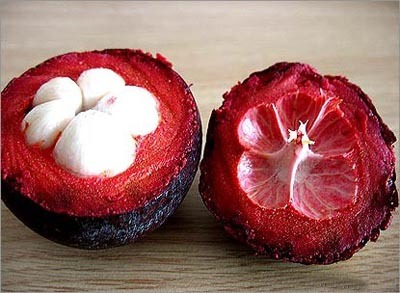 The Mangosteen grows in South-East Asia where the climate is hot all year round and has a semi-hard, thick, deep purple shell which you break by crushing the whole fruit between the palms of both hands. You can only taste the Mangosteen when it is in 'season' because the tree does not bear fruit all year round nor can you buy them easily if you are not from the region. The fruit below is not quite ripe yet. When it ripens the Mangosteen turns from green to red to a deep, luscious, purple colour as shown in the first and last photos! Inside the shell you will find 5 or 6 white, fleshy, succulent segments, each of which is snugly cradled in a crimson, spongy fitted-mould! Each of these juicy segments contain one central stone or pit which you 'spit out' if you are eating Mangosteens fresh - which is how it is eaten locally. At least that is the way you eat them in the tropics! The Mangosteen is considered a 'Superfruit' as it contains a potent concentration of Xanthones, one of the most powerful anti-oxidants ever discovered, which gives it that deep, purple colour. The best way to avail yourself of the health benefits of Mangosteen is by taking supplements as you rarely see this fruit outside of the region and even within S. E. Asia the fruit is seasonal as the tree only bears fruit once or twice a year! And when it does it is quickly consumed as it is popular with the locals who value the fruit for its health benefits as much as its divine taste! 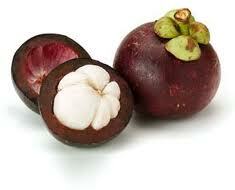 "One of the planet’s most powerful superfruits is the Mangosteen fruit. 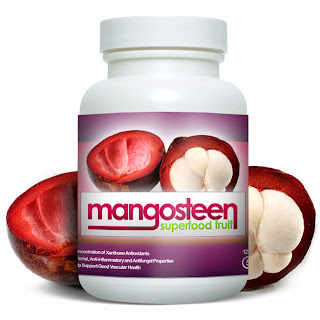 By consuming Mangosteen in an easy-to-take, capsule format daily, you may benefit from the following health improvements." The major cause of hair loss is DHT. DHT is a hormone. 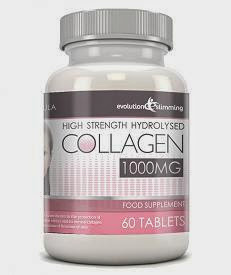 DHT is directly related to and affected by the level of testosterone in the bloodstream. DHT blocks the growth of hair in men and is the cause of most baldness. And even though this is a male hormone, women also have a small amount that runs through their blood, some higher than others. When a female inherits hair follicles that are supersensitive to DHT, they start to lose hair just like men do. Men generally have hair loss concentrated in a specific pattern from the front through to the crown, while women have an overall thinning of the hair throughout the scalp. About half of all people have inherited hair loss by about 50 years of age. Although not the primary cause of male-pattern hair loss, genetics does have a significant role in male-pattern hair loss. It is unclear whether having an affected mother or an affected father predisposes descendants to greater risks. When hair loss is related to hormones (androgens) and genetics, it is known as Androgenetic Alopecia, or more commonly just balding. Androgenetic Alopecia is an extremely common disorder. Hair loss can be attributed to overall poor blood circulation. Studies have shown that the blood flow to the scalp of men and women suffering from hair loss was significantly lower than those not experiencing hair loss. Further studies have indicated that pollutants in the atmosphere have contributed to the production of "environmental hormones" which can also contribute to hair loss. Hair loss is a natural process that can occur in many people as they grow older. In some cases loss of hair can result from causes other than age. When it comes to natural hair loss, the rate at which you start to experience loss of hair varies between individuals. Some people may start to lose their hair in their 20s, 30s or 40s, while others will enjoy a healthy head of hair long past their retirement age. Although men are more susceptible to natural hair loss than women, this is a problem that can also affect women. The impact that loss of hair can have on the quality of life can also vary from person to person. Some people simply learn to live with thinning hair and accept it as part of the aging process. However, for many others – particularly for women – hair loss can be a very stressful experience and one that can have a severe negative impact on their quality of life, confidence levels, and self esteem. REGENERATE the hair follicles in order to encourage new hair growth. Our hair is a major part of our overall appearance, and therefore loss of hair can make a big difference not only to the way we look but also the way we feel. Using an effective hair loss product can have a huge positive impact on the lives of those who have been adversely affected by hair loss, as it can help to not only restore hair but also restore confidence and self esteem. is also effective in REVERSING the hair loss process. that is also COMPATIBLE with your other hair products. After watching the video on how to apply Eye Lift to correct drooping upper eyelids I was impressed! Watch the video as it demos better than words can describe. Take note of the eyelid area afterwards to see the difference Eye Secrets had made to the woman's appearance. 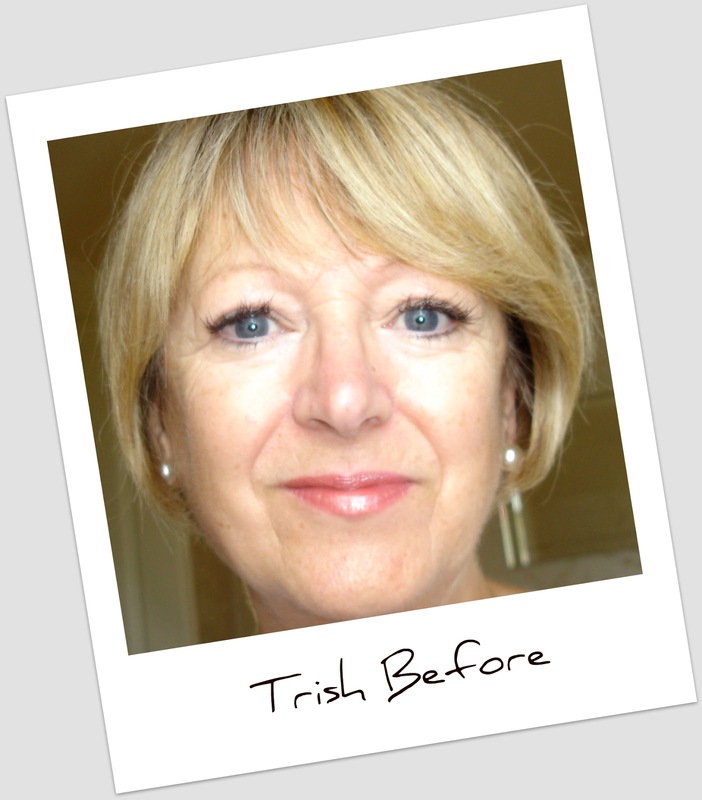 She certainly looked more alert after her instant eye lift! Drooping upper eye-lids are not such a problem when you are younger but this problem can creep up on you when you approach your 40's or sometimes even earlier. 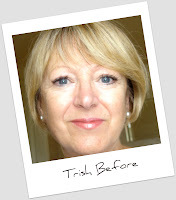 So Eye Secrets Eye Lift is a quick and painless, non-surgical solution for older women or younger ladies if you suffer from prematurely drooping upper eyelids. Nothing ages a person faster than drooping upper eyelids because eyes are the part people notice most, Afterall most folks look into your eyes when having a conversation with you. Note that when you get an eye-lift, your whole face also benefits because you look like you've had an instant face-lift as well! It is not always feasible or desirable to undergo painful, expensive eyelid surgery at home or abroad for most people, so a non-surgical eye lift is a convenient, inexpensive alternative to achieve the same results ie. looking good or better. You don't have to have drooping eyelids to use this product as Eye Secrets can also be used to enhance 'double eyelids' (ie. make 'double-eyelids' appear and open up the eyes so they look bigger and rounder) which would appeal if you are born in certain Asian countries, where eye- shape is different and smaller than those found in the western world. The more-rounded, larger, 'Western' eye-shape is the preferred beauty 'standard' for many young Asian women eg. Korea, Japan, etc. not so much because it is 'western' but because a larger shape does improve their appearance, often quite substantially. In societies where your face is literally 'your fortune' and a high quality of presentation is the norm (check out the way in which Japanese meals, etc. are presented for example) it is of no surprise that women place a great importance on looking good, and on their overall grooming. And this is where non-surgical eye lift can play a role - when surgery is not an option but looking good is necessary and even vital to one's personal, social and in many cases, even one's professional life! 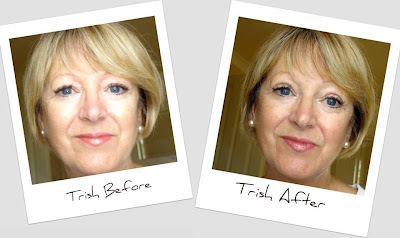 Note: In the 'After' Photo, Trish looks wider-eyed and more alert because there is less 'Overhang' (Upper Eyelid Droop) as a result of Eye Secrets Eye Lift. Overhangs belong on mountainscapes and not on your face if you wish to look your best. They drag your looks and outlook down and have an aging effect, even on younger people. Drooping upper eyelids are the worst culprits especially for women because they follow Newton's Law of Gravity with such d_mn determination!! PS: Men can also use this Eye Lift as they have a right to look good too. In fact, in Korea many men are just as devoted to their appearance and personal grooming as the women-folk in their country. 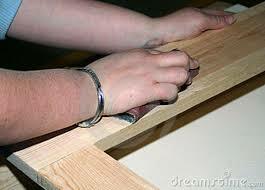 Just use concealer or matching eye-shadow to blend your Eye Lift with your skin tone.